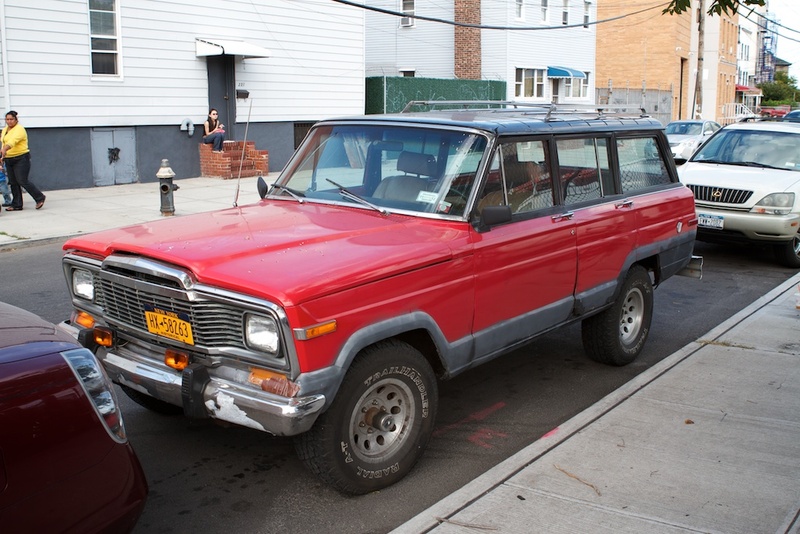 Labels: 4x4, 70's, AMC, American, Brooklyn, Jack, Jeep, New York, SUV, Two-Tone, What Year? 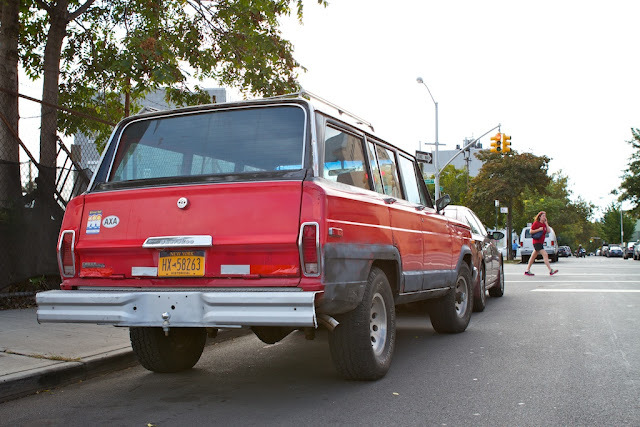 Unless this is an '84 Grand Wagoneer with the woodgrain removed & the tailgate trim swapped for an earlier one (note the Cherokee logo on the chromed center piece), it's probably an 81 or earlier Wagoneer. I had an 82 or 83 about 20 years ago, and I don't think it had that Cherokee bit either. aaaaaand it's definitely not a Grand with those manually locking hubs, he noted belatedly. I'm trying to nail this one down based on the tails lights... From everything I've seen all '83 and under years had wrap around lamps, '84 and up were narrow next to the gate as on this example. Sweet! This is just the kind of glamorous gig I've been looking for. Can't wait to enjoy the multitude of riches this affiliation should bring about! This might actually be a less common 4-door SJ Cherokee? 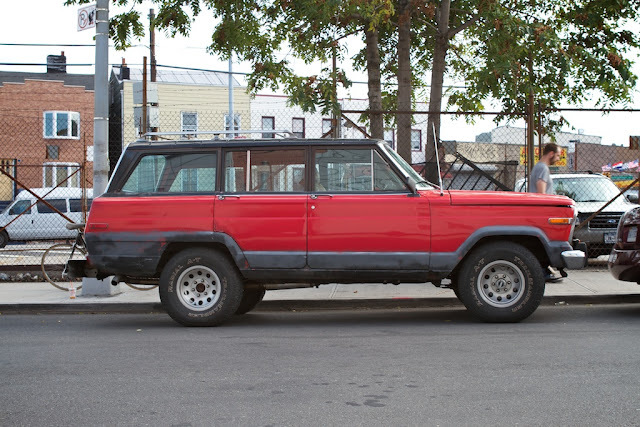 1979 Jeep Cherokee narrow track. AMC 20 rear axle and locking hubs identify it as a Dana 20 transfer case rig. The transfer would mate to a TH400 or Borg Warner T18 with an AMC 360 V8 or AMC 258 I6 in front of that. The "pig nose" grill and aluminum front bumper help identify the year since 1979 was the only year with that grill on the Cherokee. '79 it is. Thanks Vincente. Pro style.